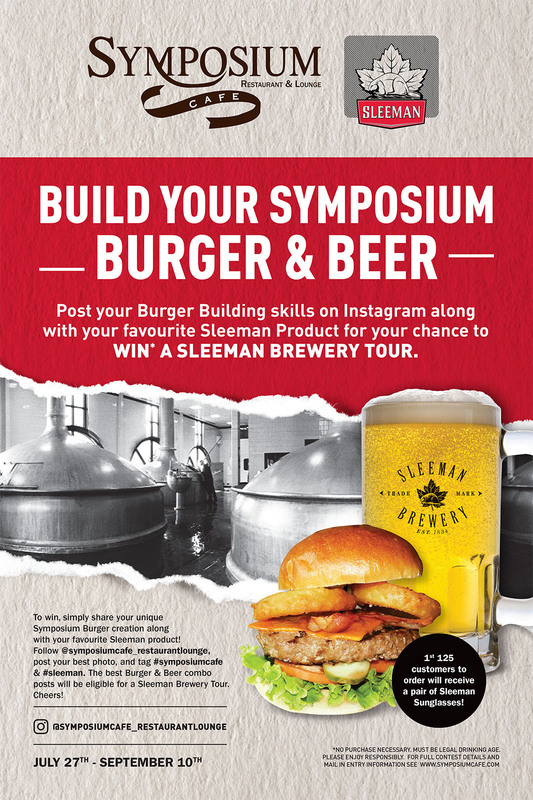 BUILD YOUR SYMPOSIUM BURGER & BEER & WIN A SLEEMAN BREWERY TOUR! Contest runs from July 27 – September 10, inclusive. An independent panel will choose the best Symposium Burger & Beer instagram post.